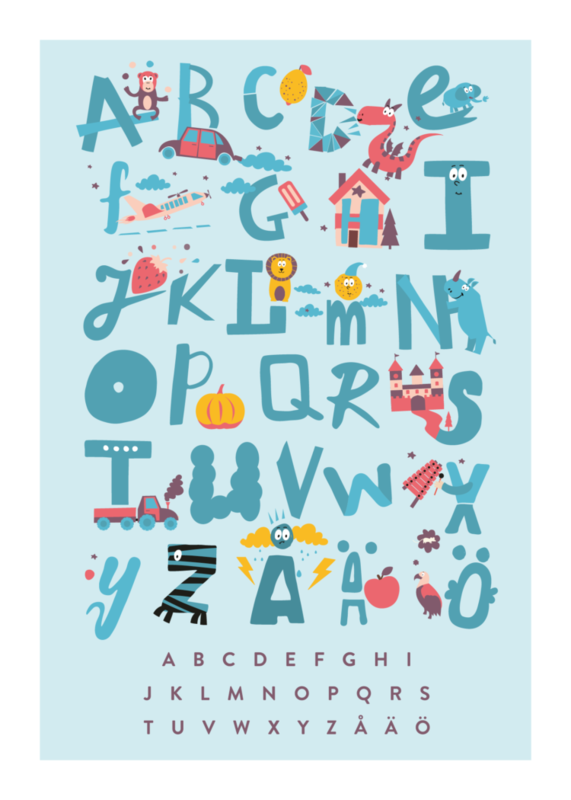 Illustrated alphabet poster with appreciated characters like the dragon, lion and the zebra. 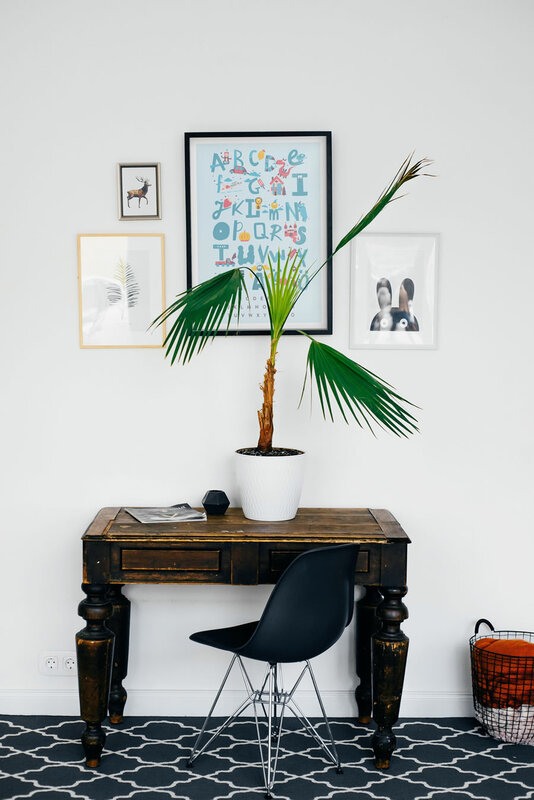 Decorative poster in blue shades that ignites curiosity about the letters. Framed, it makes a beautiful piece of wall art for the children’s room and at the same time an easy way to discover and practice the alphabet.